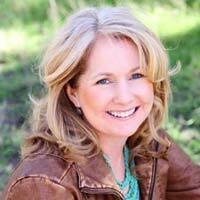 I’ve just returned from my second Highlights Founder’s Workshop with a renewed vigor. Not that I was in a slump before hand but when I learned who was on faculty for this event, how could I pass up the opportunity? Susan Campbell Bartoletti, Elizabeth Partridge, Peggy Thomas– they’re all rock stars in the kid-lit nonfiction arena and I’ve been a loyal fan for a long time. I’ve studied their works and admired their careers. After a week with them, I have a new appreciation for their professionalism and their personal integrity. I’ve met the “other side” of their rock star image, and glimpsed at how their own careers evolved. 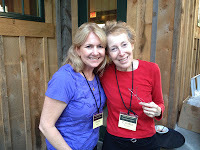 And, Carolyn Yoder, the notoriously “picky” editor of Highlights and Calkins Creek Books, was on faculty, too. This was a rare chance to pick her brain, and soak in her editorial wisdoms relating to my specific manuscript. Today, Carolyn is more three dimensional to me. She’s funny, fun-loving, energetic, curious, and she shares my love of British comedies. Check out the new Highlights Barn, aka the conference center. 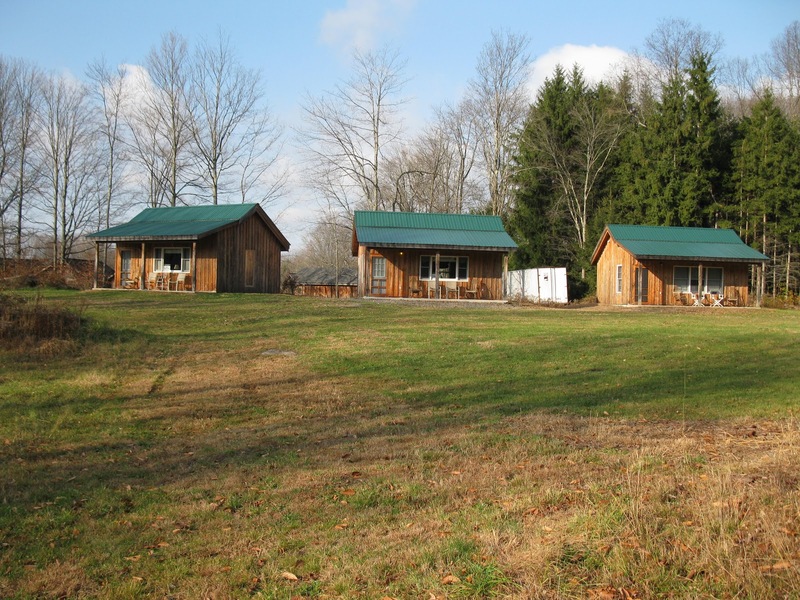 Can you imagine a more perfect design for this rustic setting, especially when flanked by the woodsy cabins we each inhabited? How cool is that? track. And, I did just that. My week was filled with structured lecture time, one-on-one sessions with my assigned faculty mentor (thank you Peggy!,) one-on-one time with Carolyn, large chunks of private writing time, and chef-prepared meals that were out of this world. 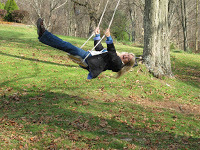 But, unstructured time was equally important. 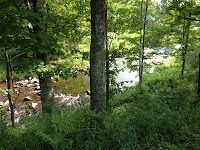 I enjoyed numerous walks through the Pennsylvania countryside where conversations with my new friends flitted between craft, marketing, and personal life. There was ample time to pose my endless questions and to benefit from questions posed by others. Often, it was the impromptu discussions that offered the most insight. former publisher of Boyds Mills Press, the trade division of Highlights, which he co-founded in 1990. 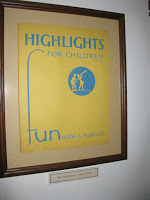 He serves Highlights for Children, Inc. as a director. 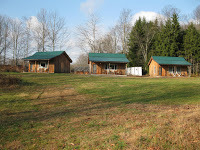 During this week, Kent was dressed down, ready for hard labor, as he supervised the construction of the new lodge being built on property. We were thrilled when he joined us for several meals. His grandparents would be proud of what the Highlights Foundation accomplishes today. Kent is the supportive and generous backbone to the organization. Rest assured, there is great heart behind the Highlights name. 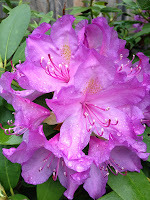 During my last day’s walk, I slowed, allowing my friends to return to home base without me. I needed to meander for a change. To inhale deeply and to take in the natural setting. 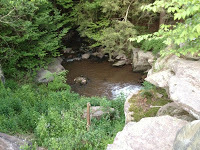 The sounds of rushing water, fluttering birds, and a whistling breeze centered me. It was time for me to look at the minutia of nature’s wonders. 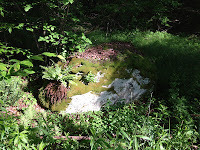 The lichen on the rocks, the beaver dam, the buzzing bees on the foliage. Nature is a part of me- the roots to my tree of life. There was no better ending to my week of rediscovery. I tried like the dickens to get photos of the adorable chipmunks. They peered through the glass doors during our sessions and one even trapped himself inside the barn until we helped him find his way outside. I could never get my camera out in time. Until this moment. Out of the blue, as I was walking toward the Barn, this little guy ran right up to me. He paused long enough for me to take my phone out of my pocket and find the camera setting. It was rainy for part of our week, but that didn’t stop some of us from walking. 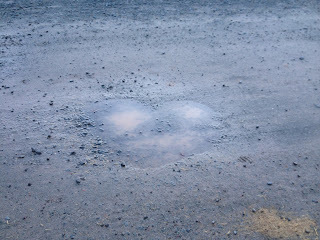 Check out the heart-shaped puddle I came upon. I find it metaphorical, really. Something about finding beauty in our work, even when we’re muddled in the mire of details. At the end of the day, it’s all about finding the heart of our stories. I had the great pleasure of chatting with Kent L. Brown, the executive director of the Highlights Foundation, Inc, this week. 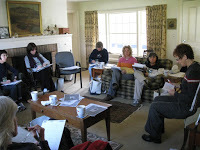 I was surprised to hear that, due to a few promotional glitches, the upcoming Whole Narrative Nonfiction workshop, set for May 20-26, 2012, still has space available. Ah, a glitch in the system is the only logical explanation for why this class didn’t fill up months ago. 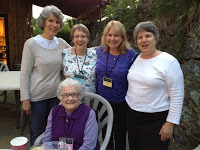 How often does a kid-lit nonfiction author have the opportunity to spend an entire week, sun up to past sundown, with Susan Campbell Bartoletti, Peggy Thomas, Elizabeth Partridge, Carolyn Yoder, Nancy Bo Flood, and Barbara Krasner? 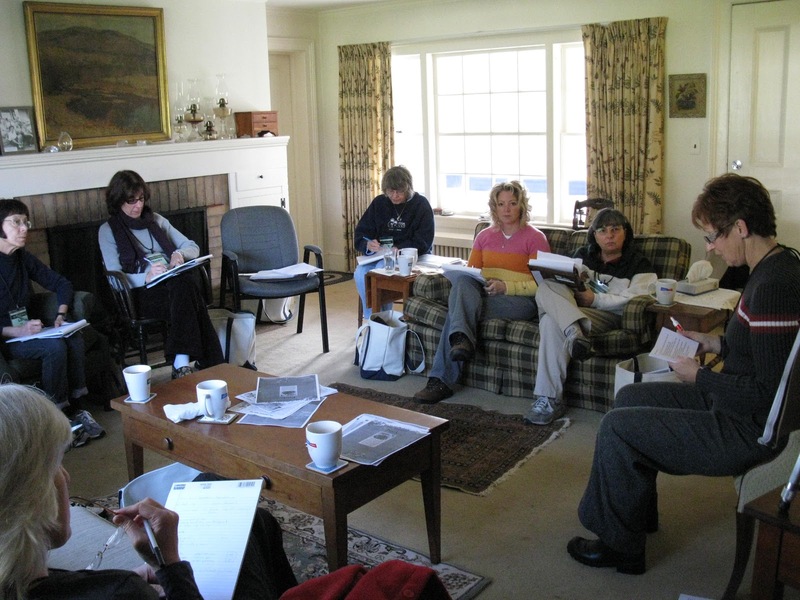 I’ve had the honor of attending a Founder’s workshop in 2009, focused on nonfiction storytelling and I can tell you, it was career-altering. As I mentioned to Kent, my four day immersion in the craft, aided by award winning author Barbara Kerley, and editor Kim Griswell, provided me several lightbulb moments. Enough so, that I completely re-envisioned the project I was working on. The very same project that later garnered interest from multiple editors and is (fingers crossed) on it’s way to an acquisitions meeting. Yes, I owe The Highlights Foundation my sincerest gratitude. For those wondering, this workshop is appropriate for longer works of nonfiction for young readers AND nonfiction picture book. The goal is to work on an entire longer manuscript, or two picture book manuscripts to ready them for submission to an editor or agent. Yeehaw! The tuition is a bit steep, but worth every penny. If it’s beyond your financial abilities, know that Highlights offers generous scholarships and grants and they truly don’t want anybody to feel awkward about asking. Even if you’ve been a past scholarship recipient, they’re willing to work with you, when possible. Intimate instruction settings in the home of the founders. 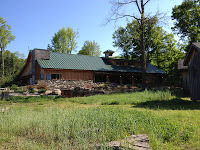 An instructional “Barn” has since been built for workshops. 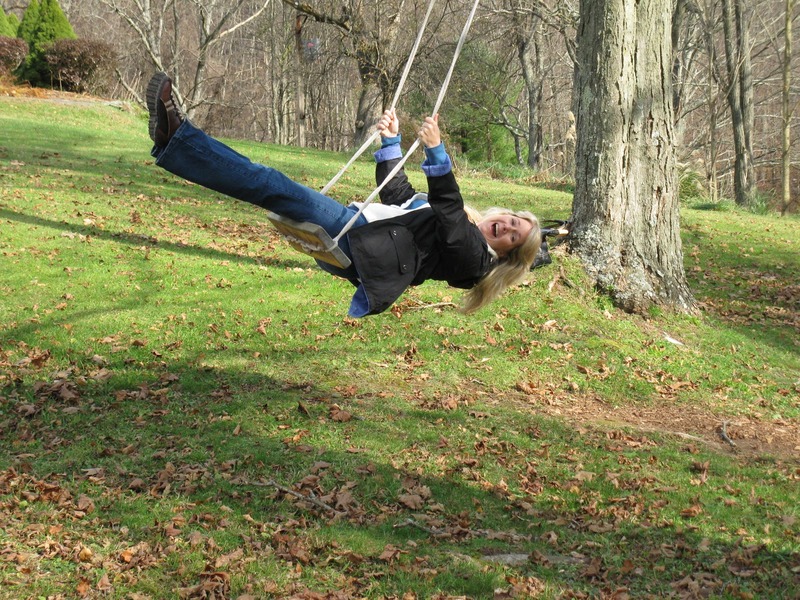 How could you not get in touch with your inner child here? 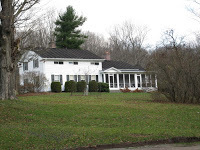 The founder’s home in Boyds Mills, PA. 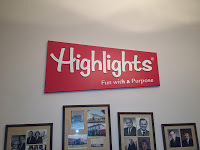 This is where Highlights was born. It continues to nourish the children’s literature community today. 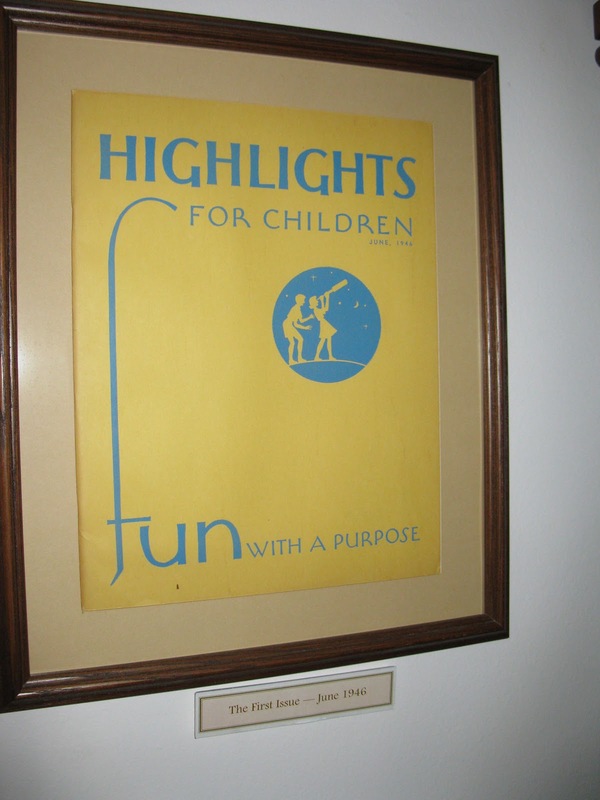 I do believe this was the first Highlights for Children cover. the most delectable food is served every day. 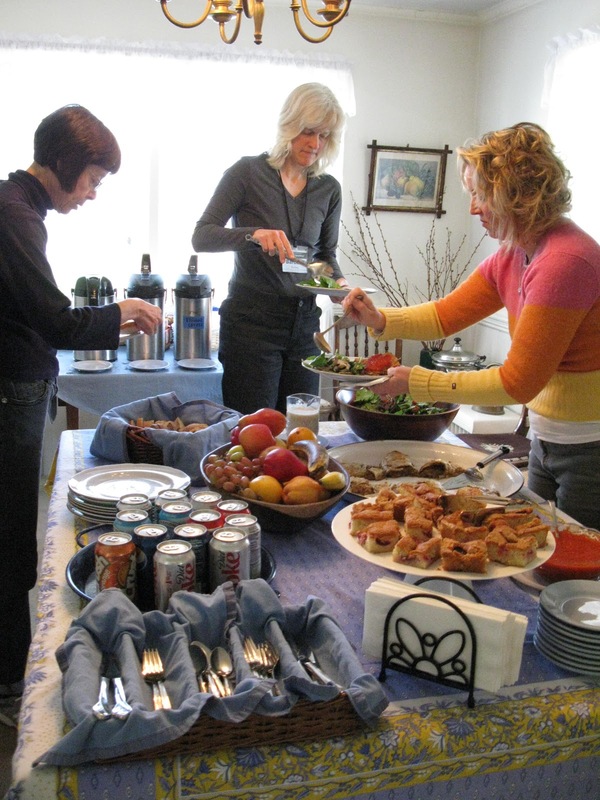 Here, Barbara Kerley, Carmen Oliver, and Liz Armstrong Hall feast. 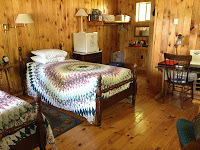 When’s the last time you had your very own cabin, overlooking the mountains? The perfect quaint, and charming setting for your imagination. Lucky you, it’s not too late. 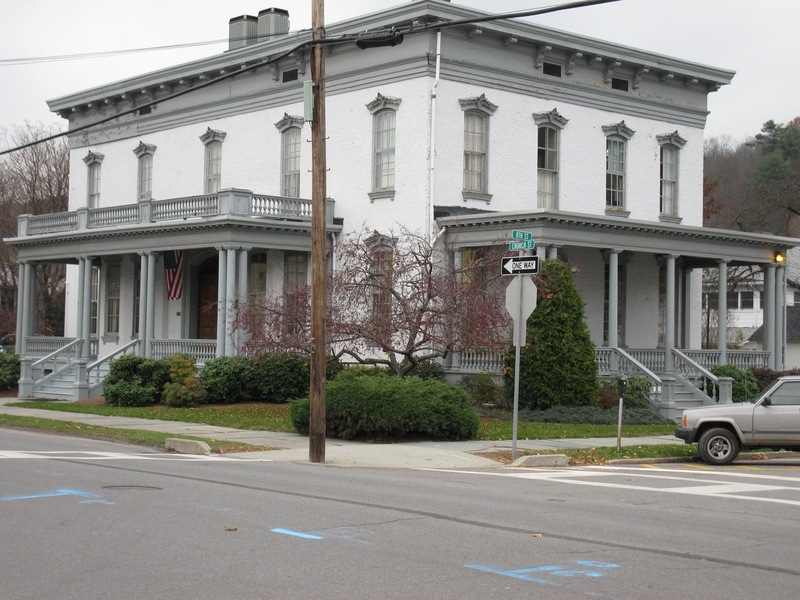 The appropriate links to more information are activated within this post. I hope to be there in May. Will I see you there?